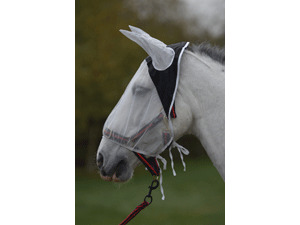 Ideal for those horses prone to fly worry. Protects eyes and ears. Tie fastening. Black with white mesh. One size fits all. There are currently no questions for Hy Fly Eye and Ear Shield - be the first to ask one!